Monobank had a solid quarter with positive operational development and solid progress on growth initiatives. Growth in net loans continues at a high pace. In parallel, Monobank is expecting to see positive results from the upcoming broadening of its product portfolio. The new development of a credit card platform has already attracted significant interest from a wide range of stakeholders. In total, Monobank has added considerably to its platform during the first quarter of 2018. 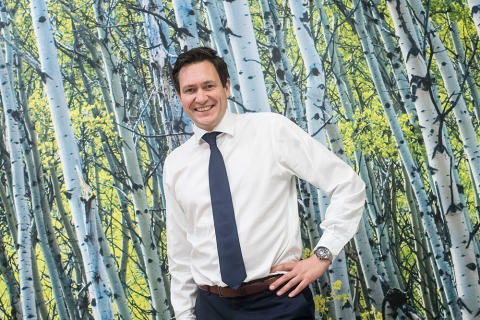 "Monobank’s operational and strategic growth has gained momentum through the first quarter. The loan portfolio develops favourably both in Norway and Finland. We plan for a continued healthy growth going forward. Strategically our bundled app and credit card has already attracted strong interest ahead of the launch over the next months. 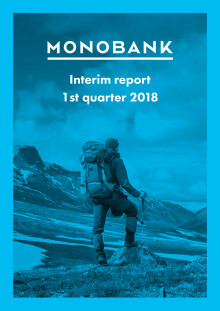 In total, Monobank has had its strongest quarter and we are aiming at continued solid growth and a ramp up in profitability", says Bent H. Gjendem, Chief Executive Officer at Monobank. 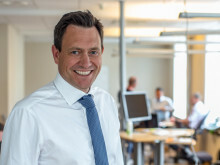 First quarter net loans and advances to customers increased by NOK 523 million to NOK 2 876 million excluding provision for loan losses and prepaid agency commissions. The credit quality has continued to develop in line with expectations. The launch of loan operations in Finland has been a success and continue to grow at a solid pace. Applications are coming in at levels similar to those registered in Norway. Through Monobank’s arrangement with Raisin, the bank is now accepting Euro deposits directly from European customers on favourable terms. The set up will reduce overall funding cost. 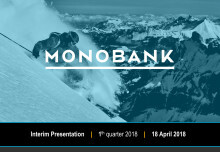 Monobank presents the first quarter 2018 figures today 18 April. The presentation will be held in Norwegian and transferred via webcast at www.monobank.no/ir. Monobank is a digital bank offering unsecured lending to qualified private individuals in Norway and Finland. Operations started out of Bergen, Norway, in November 2015 after received its banking licence from the Financial Supervisory Authority of Norway. The bank also offers attractive deposit rates on its savings accounts. Deposits up to NOK 2 million are guaranteed by the Norwegian Banks' Guarantee fund, of which Monobank is a member.